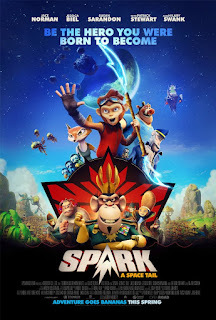 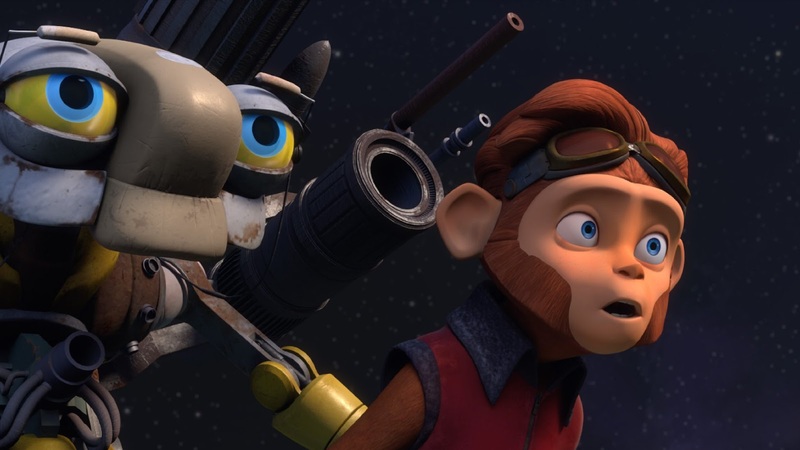 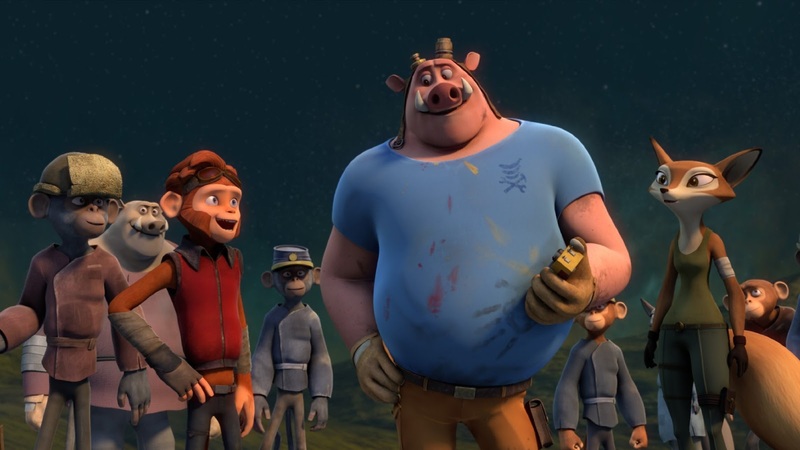 "Spark: A Space Tail" is a 3D computer-animated film that follows the adventures of Spark (Jace Norman), a teenage monkey and his friends, Vix the fox (Jessica Biel) and Chunk the warthog (Rob deLeeuw), who are on a mission to free the Planet Bana from the clutches of the evil overlord Zhong (Alan C. Peterson). 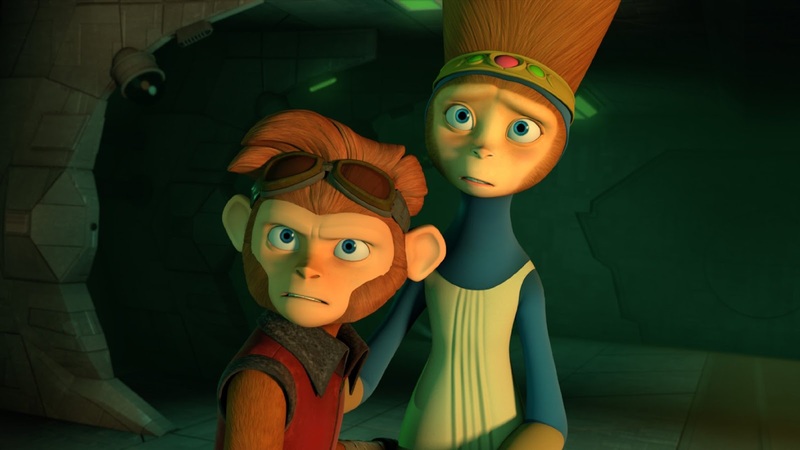 Directed by Aaron Woodley ("The Entitled"), the film also features the voices of Susan Sarandon, Hilary Swank, Patrick Stewart and Athena Karkanis. 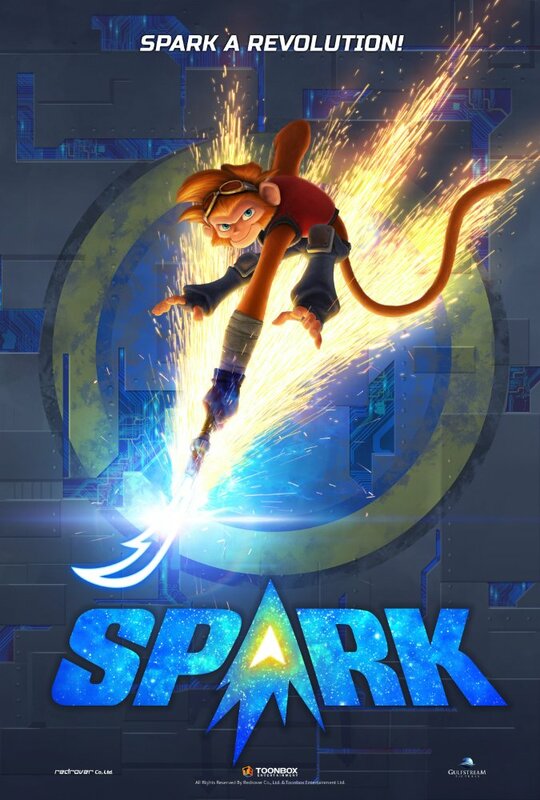 "Spark: A Space Tail" opened in limited release in the U.S. on April 14th, 2017. 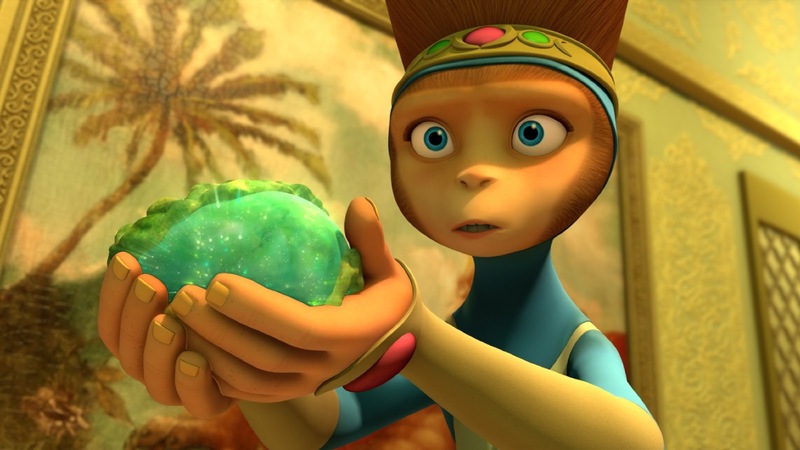 "Thirteen years ago the power-mad General Zhong seized control of Planet Bana, tearing it to pieces in the process. 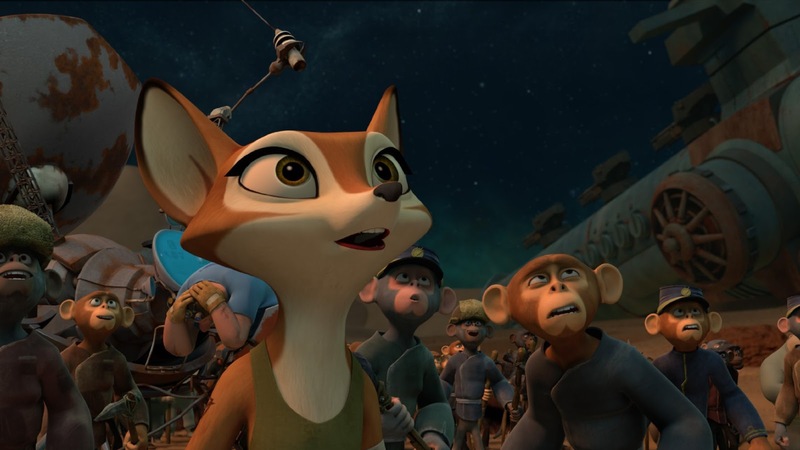 Enter Spark and his friends, Chunk and Vix, who learn of Zhong's plan to take over the universe. 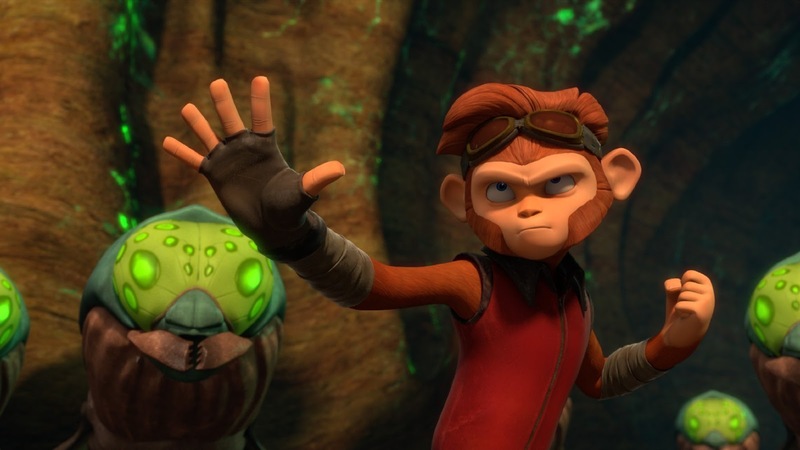 If Zhong is able to harness the power of an ancient beast known as the Kraken, he'll have history's deadliest weapon at his fingertips. 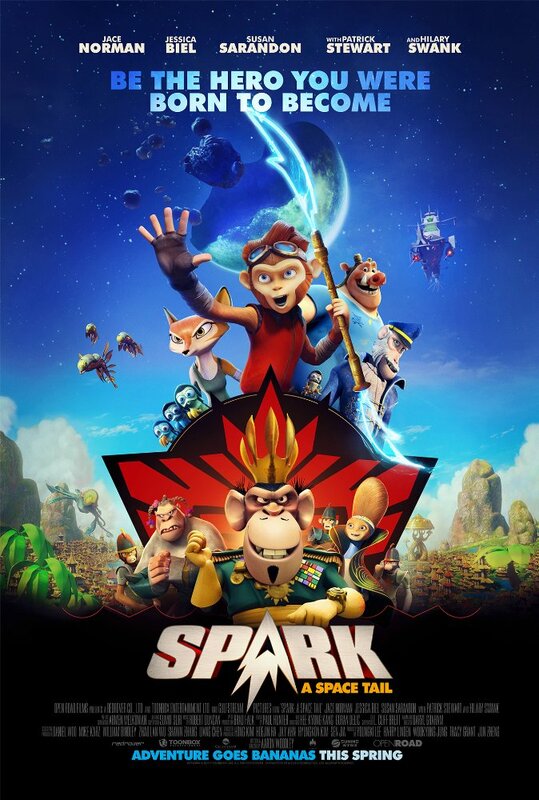 And it's up to Spark and his friends to stop him. An action-packed space-odyssey filled with humor and heart, SPARK is the story of a boy who embarks on an epic adventure, and in the process discovers his rightful place in the universe."